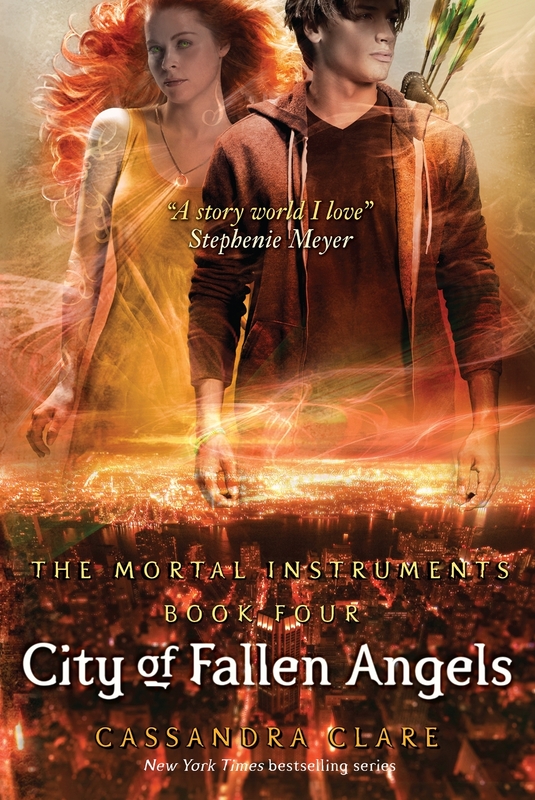 A Slow Start For City of Fallen Angels, but Worth Reading! For those of you who follow my reviews, you would have noticed that I’m not shy about my love of Cassandra Clare’s books. My enjoyment of her Mortal Instruments trilogy doubled when I learned she was extending the series to be six books, the first of which came out April 5th of this year. City of Fallen Angels picks right up where City of Glass left off, and though it had a slow start, Clare finished the book in her typical exploding style. This might contain some spoilers for those of you who haven’t read the first three, so beware (if you’re curious about the series, feel free to read my review of book one, City of Bones). Clary is back from Idris, along with all her Shadowhunter and Downworlder friends. Her mom’s about to get married to Luke, local werewolf and all-around wonderful guy. And she’s finally with Jace. After all the stress, heartbreak, and just plain Hell they went through, a happy ending is at last on the horizon. Of course, nothing is ever that easy in this world, which is proven once again when Shadowhunters start showing up all over New York City dead. Downworlders are suspected, putting tension on the recently-created truce. Clary’s personal life starts taking a turn for the worse as well. Her best friend Simon is having a terrible time since he told his mom he’s a vampire—he has nowhere to live, and even more, all sorts of powerful Downworlders are after him, thanks to his Daywalking abilities. Then Jace starts to pull away. Clary has no idea why, and the more she pries, the more distant he becomes. Something is lurking under the surface, some truth connecting all three of these events… if only she could figure it out. This book was a bit of a rollercoaster, and not in a good way. Out of all of Clare’s books, this is my least favorite. It honestly took me to almost 200 pages to start to enjoy the story. Though I was revisiting characters I loved, they seemed flat and typical, their actions predictable to me. I wasn’t connected to the story, even though some pretty significant things happened in those 200 pages. However, having said that, the ending more than made up for the slow beginning. About half-way through the book something just clicked for me, and the pages couldn’t turn fast enough. The layers of plot and the struggles the characters went through—particularly Jace—were rich and filled with the adventure, suspense, and sexual tension I have come to expect from Clare’s books. I also loved the way she continued the story. Usually in a trilogy or series, we read to the climax and then have no more insight into the characters we have loved. Does Harry ever encounter another wizard ready to take over the world? Will Bella ever fight the Volturi once and for all? Trips end, people die, love is lost and found, and life moves on. But what happens to them? I think it is unrealistic to expect that fantasy worlds have no more issues once the big baddie is taken care of. With City of Fallen Angels, we get to see that continuation of life. And the way the author connects the first three books to the second is simply brilliant—well-written, and unexpected. With the disconnect at the beginning, was this book worth waiting it out to get to the end? I’d definitely say yes. Maybe it would have felt more connected if I had read it immediately following a read-through of the first three books. Next time I do that, I’ll have to let you know. Either way, the things I have come to expect and enjoy from Cassandra Clare as an author were there, building up towards an ending that was well worth wading through the disconnect.